"Out of the pan, into the fire." Burn is the story of three companions who happen upon dark secrets that could bring the country to ruins while on the run from their problems. Burn has not been tagged yet. Help others find Burn by tagging it! 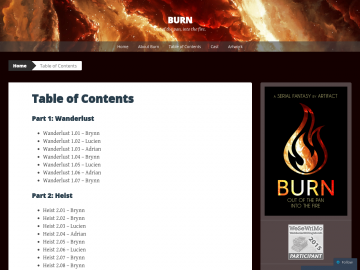 Burn has not been reviewed yet. Burn has not been recommended yet.